The Caribbean has long been a Mecca for spiritual and gospel travel. And the island nation of Barbados is no exception. 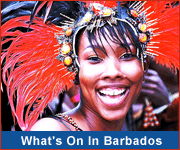 The biggest spiritual gospel event on the Barbados calendar is Barbados Gospelfest which was first established in 1993 and is held yearly in the second part of May. Through the years, top international Gospel artistes have been invited to perform. These have included Yolanda Adams, Ben Tankard, Douglas Miller and a then emerging talent, Kirk Franklin. The participation of local and regional artistes to share the stage with international acts is encouraged. Opportunity is also given for other areas of artistic expression such as dance and mime. Joseph Niles, Sis. Magarita Marshall, Promise, Tony Lowe, The Miracalets and Gratitude have contributed to the success of the event, while venues such as Farley Hill National Park, the Jackie Opel Amphitheatre and Heroes Square have provided a distinctly Barbadian atmosphere. 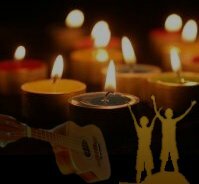 Leading Gospel artistes like Alvin Slaughter, Tremaine Hawkins, Candi Staton, Harrella Goodwin, the late Ras Shorty I, Richard Smallwood & Vision, Keith Staten and Shine the Light have all shared in the greatest gospel music event in the region. 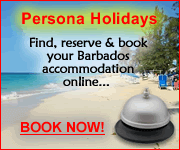 Barbados is proud to be your spiritual travel destination! We hope you will come and take advantage of all we have to offer. Enrich your soul with a stay at The Crane Resort and enjoy their uplifting live Caribbean gospel Sunday breakfast.